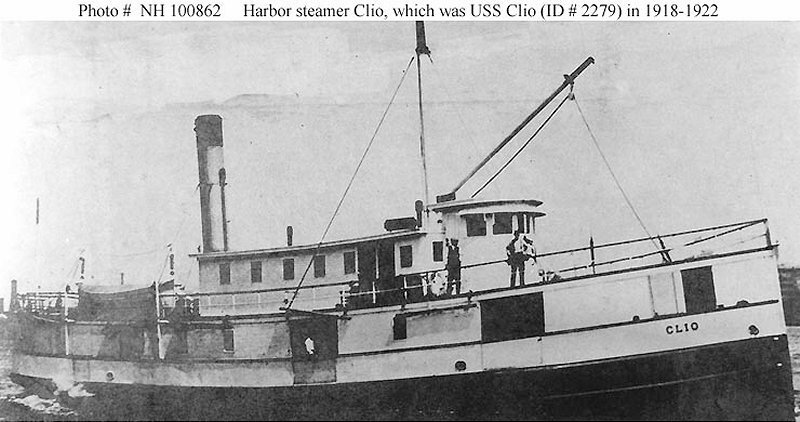 Harbor Steamer: Built in 1909 at Philadelphia, PA; Acquired by the Navy 17 April 1918 from the Smyrna Steamboat Company of Philadelphia; Commissioned 8 June 1918; Sold 20 May 1922. Fate unknown. Specifications: Displacement 199 t.; Length 109'; Beam unknown; Draft unknown; Speed unknown; Complement unknown; Armament none. 75k Photographed prior to her World War I era Naval service. 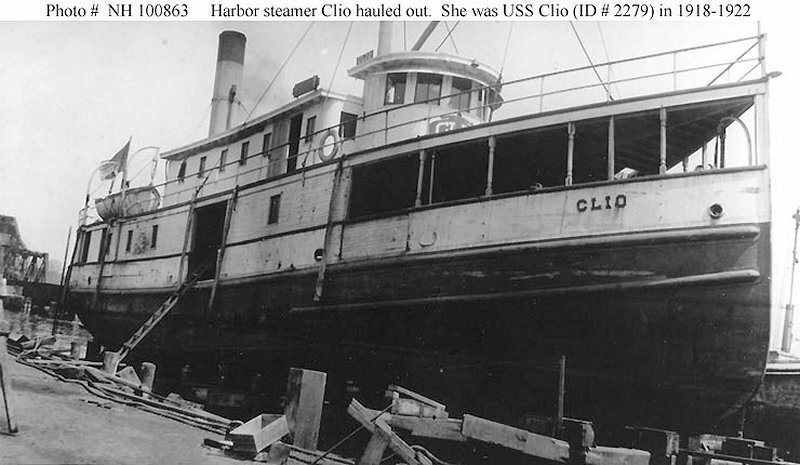 77k Hauled out of the water, prior to her World War I era Naval service.